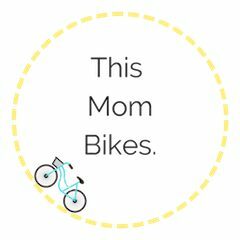 We are finally piecing together how to go bike touring as a family and it feels soooooooo good! Earlier on in our relationship, my husband and I figured out that we love to travel by bike. There is something just right about the pace. Something to do with your day. A lovely speed to let your eyes gaze over hill, dale, and architectural history. And, a way to work up an appetite to be able to take full advantage of local fare! Bike touring is good for our souls. Our kids our 5.5 and 2.5 yo. One is on a single speed pedal bike and one wants to desperately be on a pedal bike (but rocks a Strider with pneumatic tires). Longtails were our bikes of choice for our first foray into family touring; we had our orange Xtracycle Edgerunner 24D and our new purple Bike Friday Haul-a-Day. Gear wise, we are leaning towards two HaDs as they are collapsible and lightweight (for a cargo bike!) and peppy as all heck! Both bikes performed beautifully this trip. The Edgerunner was great for towing kids bikes when necessary and it was awesome to be able to share the kid load, the food and gear load, and for the kids to have variety, to be able to be solo or together. We loved having them so close, instead of in a trailer, so that we could chat and hang out. It was pretty stupendous quality family time. This long, cold winter we just had was good for our imaginations and I spent many an evening planning and researching trips to far off lands. We almost went to the Netherlands with some friends. But, instead, we settled on a trip within a day’s drive to explore some of the amazing infrastructure that Canada does have. Years ago, some very patient people created a meandering network of railways that linked communities together in Southern British Columbia. More recently, many patient, community-minded souls have banded together to reclaim these trail for non-motorized use. There is much more work to be done to make it accessible to your average cyclist and there are some downright impassible sections still; but, thankfully, there are many extremely pleasant segments to choose from to cruise along. We chose to base ourselves in Summerland. I decided on three rides that really peaked my interest and Summerland was fairly central to them all. Ideally, we would have chosen Penticton, but the camping options around there were unappealing to say the least (can you say sardines? ), we were initially planning on going the Easter long weekend in April and overnight lows were still on the chilly side, and I stumbled upon a wonderful Airbnb located barely on the outskirts of Summerland on a cidery, no less, and I highly recommend it. The girls both rode good chunks of the trails, but they still needed space to play and this spot gave them a huge lawn to play horse on and kick a soccer ball. The girls got a cold, the weather was iffy, and then we had a basement flood so our Easter plans were kiboshed. It was a late spring everywhere out west this year, but I talked with our hosts and, normally, that would have been quite a lovely time to visit, with many of the orchards blooming and cooler (15-20C) daytime highs. As it were, we had a lush green view of the countryside in early June after the wet spring and sudden summer commencing May long weekend. The daytime highs averaged 24-26C during our stay (but it was closer to 20C the day we rode Myra Canyon, not to mention the higher elevation making it cooler, too). There were lots of sumacs lining sections of the ride up to Little Tunnel and I think that 2/3 of these rides would be excellent choices for fall colours. Can you say grape harvest? Cider? Fall colours! Charming. Keeping the kids safe from the heat while riding seems like a ridiculous challenge to us and it can get stinking hot in this region mid-June to mid-September. We would never ride these trails in July or August, but that’s just us. I missed a spot for sunblock on the toddler’s nose and she got a nasty hot spot there (mama fail). Since Myra Canyon is higher up, snow can be an issue early (and late) season; the trail was all melted and almost completely dry when we rode it on June 4, 2017. So, as a general rule of thumb, we plan to hit this region mid-April to early-June and mid-September to October. It was hard to choose where to go. I found sketchy resources and excellent resources, mostly online. I had perused the Kettle Valley book by Langford years ago and didn’t go back to it for this trip. Instead, I relied upon a local blogger‘s accounts, crazyguyonabike, and local trail maintenance pages. Naramata to Little Tunnel: Fairly easy to entice kids to ride to a tunnel! Very few road crossings, all wide, well maintained rail trails with a hard-packed, fine crushed gravel. Fairly consistently the higher end of rail grades (2.2%) so not compatible with a kid’s single speed (but she did try several times! ); longer on the way up, zoom on the way down! Several distances to choose from; we did about 25 km round trip. Myra Canyon: Many trestles and TWO tunnels! A bit of a trek to get there on some logging roads that are in decent shape (pot holes in flat sections, but nothing atrocious; only a bit of washboard when you first get on the road; 2wd and 4wd possible; high clearance not necessary… we drove it in our Honda Odyssey and saw cars with much lower clearance). Pretty much flat as a pancake in either direction. It’s supposedly uphill from Ruth to Myra Station, but I’d argue that’s only for a small section of it. We rode from Myra to Trestle 3 and it looked to head slightly more downhill from there, FYI. Oliver Wineries Tour and Canal Path: Roadie heaven. What a beautiful road ride, inspired by this route here. We didn’t get as many km’s done on this one as we would have like due to a later start, a hot day, and a very tired toddler, but it was absolutely gorgeous and if you were so inclined, you could have sampled many a fine wine. The ride back to the Oliver Visitor Centre along the valley bottom canal was extremely flat (albeit slightly upstream, but there was no sense of a false flat… it was just flat) and had a bayou-esque feeling, which was a intriguing contrast after the semi-arid vineyards we’d ridden through up on the side of the valley. I will be writing up each trip report and linking them here as they’re done. And, I look forward to adding to this little trip report library of great bike touring day trips in our region, perhaps again this fall, but definitely next spring! We will be back!!! We have biked in wine regions in France and driven through California wine country, too. This was on par with both (less the historical and architectural charm of France, of course!). We timed our Naramata ride with the Saturday Penticton Farmer’s Market and it was awesome and their main street had some really nice urban design touches. Secondary roads were narrow. Traffic was generally very respectful. And, there were lots of bikes, which always gives us good vibes!